Look Pretty This V-Day With These 5 Eye Makeup Looks That Can Be Achieved In Just 4 Steps! Valentine's Day calls for the cutest of shimmering looks if you ask us. Whether you have a significant other or a group of friends to celebrate with, your makeup should be flawless. 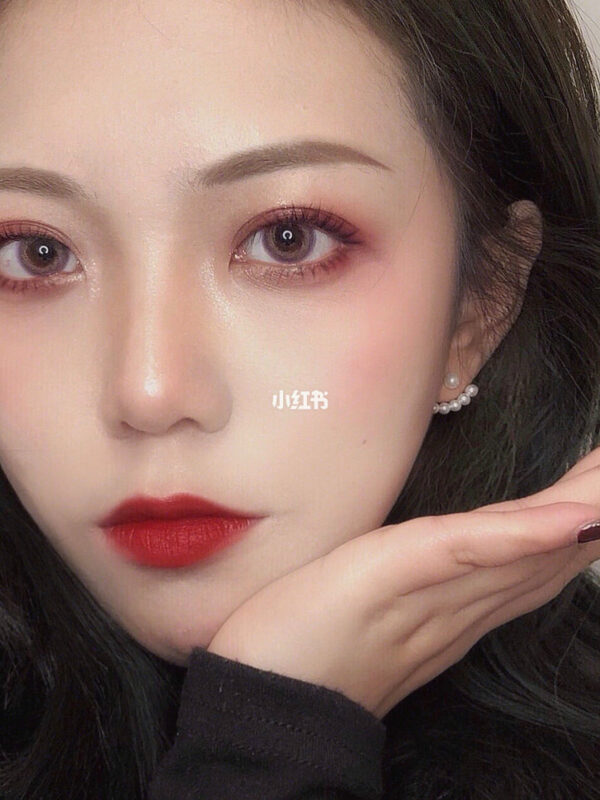 Just in case you're looking for some inspiration, we've rounded up some of the best makeup looks worth trying on Valentine's Day. 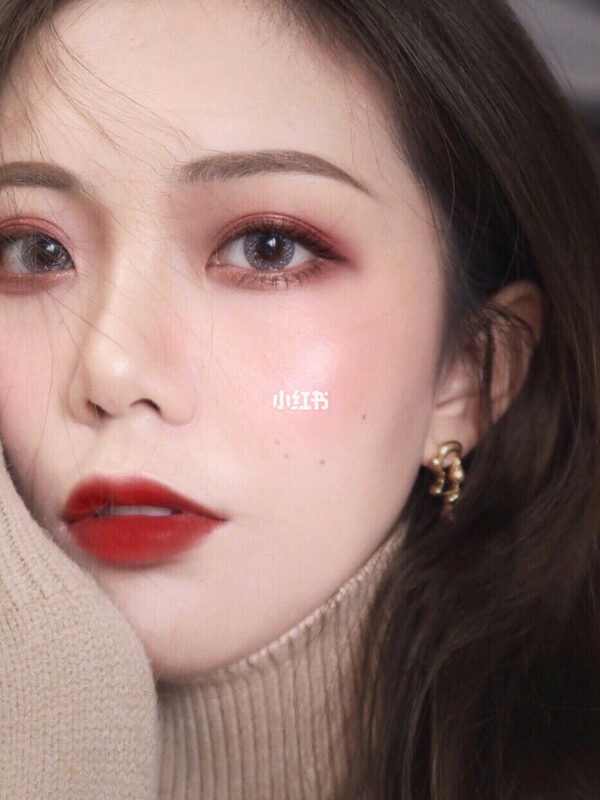 So, it does not matter if you're a beginner or a makeup professional, these 5 romantic eye makeup looks will definitely be extremely easy to achieve. Scroll ahead to find out more! Step 1: Use a light neutral brown eyeshadow and sweep it across your lid. Step 2: Pick up a slightly darker and warmer brown eyeshadow and apply this to the lower half of your eyelid. Step 3: Apply a deeper brown eyeshadow to the outer corner of your eyelid. Step 4: Finish off the look by packing a warm gold glitter shade on the middle of your eyelid. 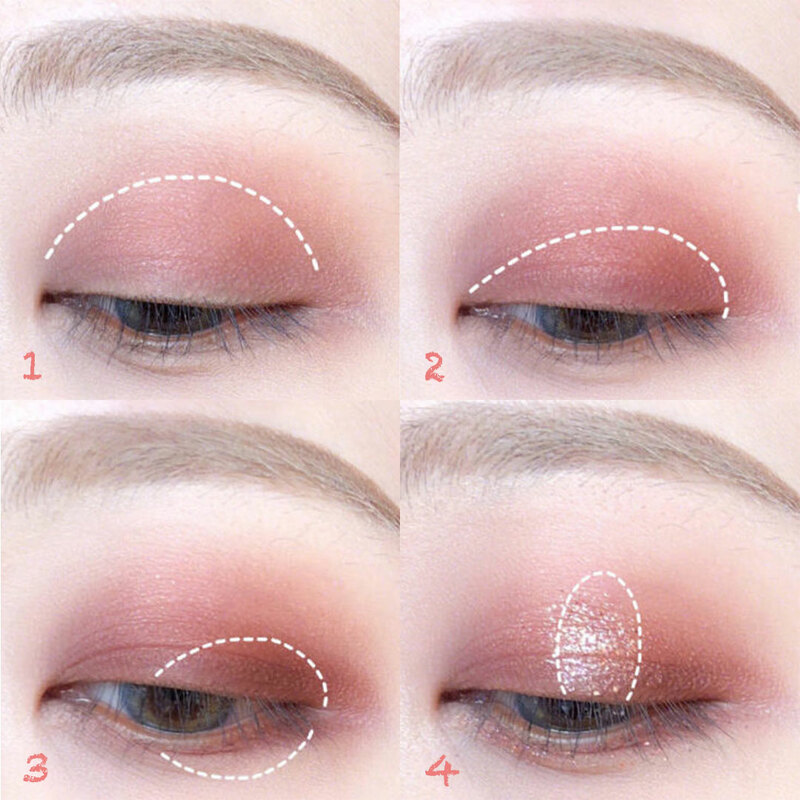 Step 1: Sweep some light neutral brown eyeshadow on your eyelid as your base. 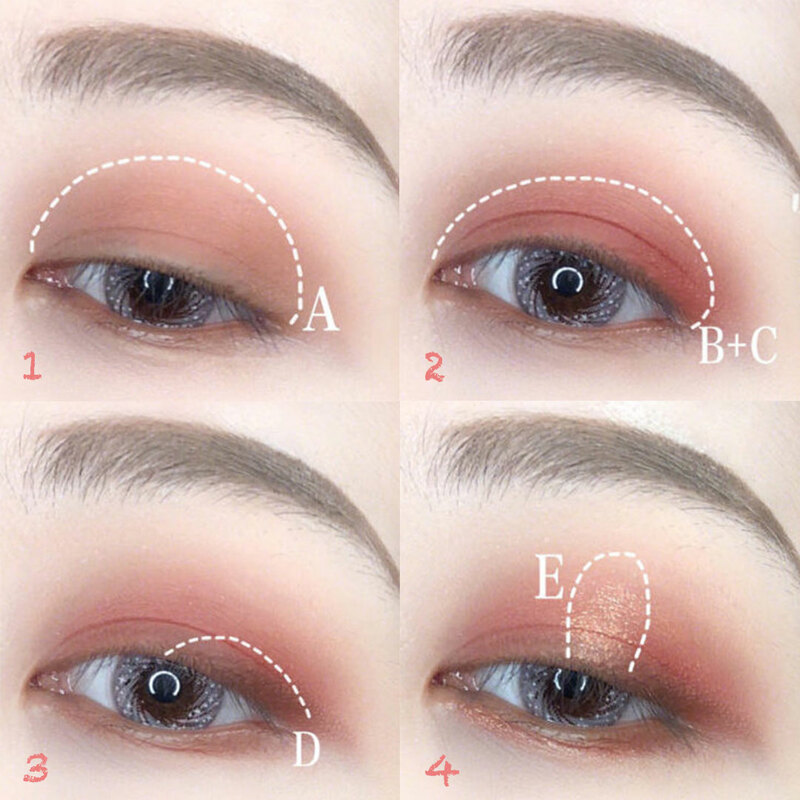 Step 2: Mix a pink eyeshadow and a warm orange eyeshadow and apply it to the lower half of your eyelid. Step 3: Apply a dark chocolate shade to the outer corner of your eyelid. Apply it as closely as you can to your eyelashes. Step 4: Lastly, top it off with a champagne glitter eyeshadow on the middle of your eyelid. 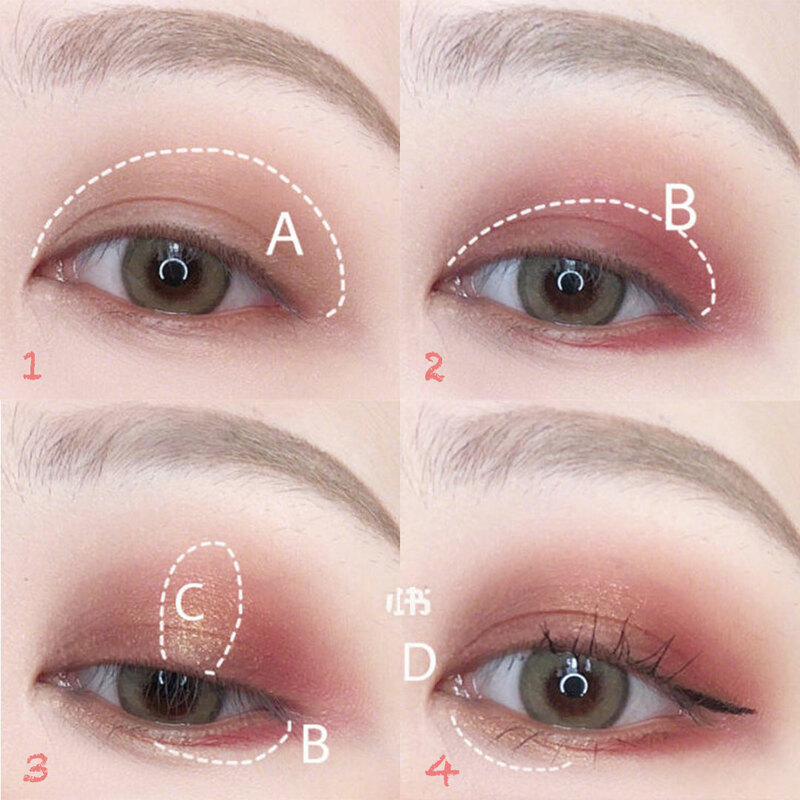 Step 1: Dust a light brown eyeshadow with a pink undertone all over your eyelid. 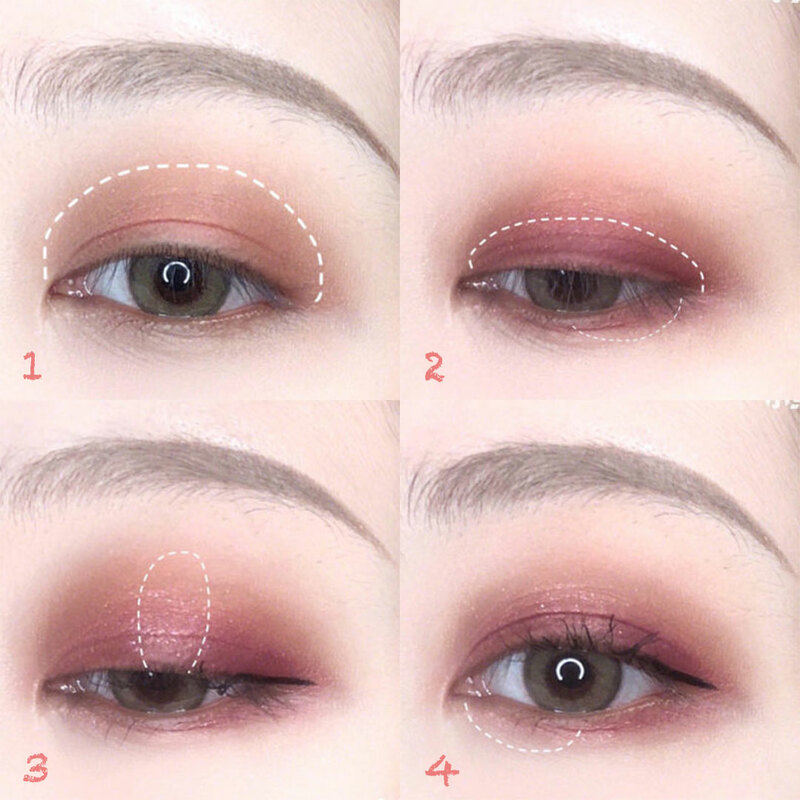 Step 2: Dip your brush into a deep burgundy shade and apply it to the lower half of your eyelid and to the outer corner of your lower lashline. Step 3: Apply a coral pink glitter shade to the middle of your eyelid. Step 4: Highlight your inner corner and lower lashline with a light baby pink glitter eyeshadow. 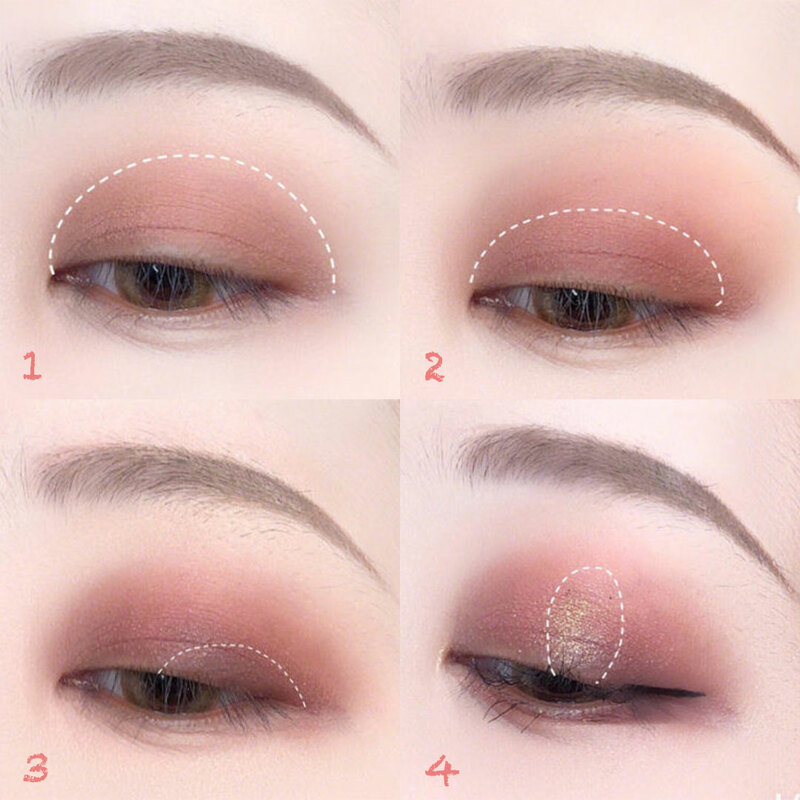 Step 1: Use a light neutral brown eyeshadow as your base. Sweep it across your entire eyelid. Step 2: Apply a brown eyeshadow with a reddish undertone to the lower half of your eyelid. Step 3: Apply a warm chocolate eyeshadow to your the outer corners of your upper and lower eyelid. Step 4: Add some dimension to the look by adding some rose gold glitter eyeshadow to the middle of your eyelid. Step 1: Lightly dust a light brown eyeshadow with a warm undertone all over your eyelid. 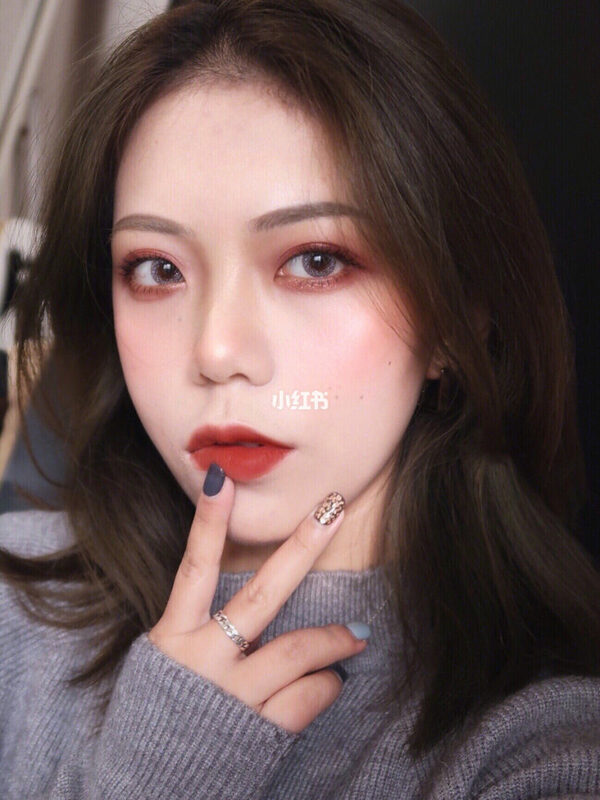 Step 2: Using a light hand, apply some red eyeshadow to the lower half of your eyelid. Step 3: Add some yellow gold glitter eyeshadow to the middle of your eyelid. Step 4: Complete the look by dusting some rose gold glitter eyeshadow to the inner corner of your lower eyelid. Whatever your Valentine's Day plans may be, we have your eye makeup look covered. 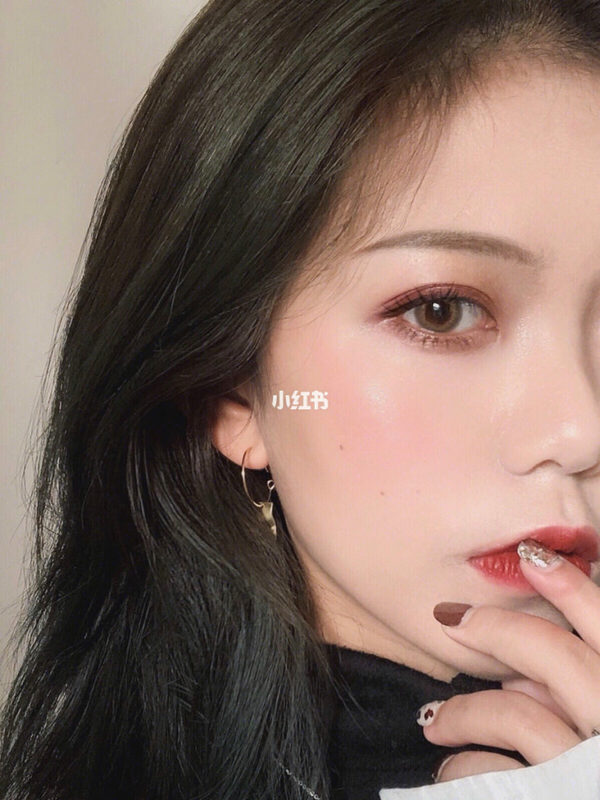 We hope these eye makeup looks have gotten you inspired to doll yourself up prettily this 14 February! Know someone who will love these? Share this post with them!